How many VHS and other videos do you have in storage containers? Don’t they deserve to be watched? Don’t lose valuable or one-of-a-kind film and video footage. Clean out that tight storage space in the basement and let the Legacy team here in Fort Collins safely transfer your cassettes, reels and tapes for posterity. We expertly take care of the critical film transfer to keep precious memories in tact. Whether it’s film to DVD conversion, VHS to DVD, or any other kind of media transfer, including audio, Leave A Legacy is the history keeper for so many families. Copy old movies. Edit videos. 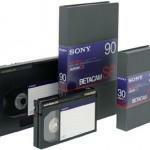 We can transfer any of this old video or film footage to DVD, Blu-ray or digital files. The digital files we give you can be MOV, AVI, mpg2, mpg4 or a variety of other file types. We like to save all of the video files on to an external hard drive. You can provide the external hard drive or we can sell one to you. Check out this article to learn the advantages and disadvantages of discs versus digital files and why we don’t typically save your video files to a flash drive. We can take your VHS tapes or film stock (either 8mm, Super 8, or 16mm) and make a film to DVD conversion or VHS to DVD conversion. Save your old home movies from deterioration or disaster—and then make multiple copies to share with friends and family. Additionally, we offer many editing options to ensure your film to DVD conversion looks crisp and professional. Need smoother transitions or image enhancement? Just let us know and together we can realize your vision. Add music? Certainly. There isn’t a film or video type we don’t touch! 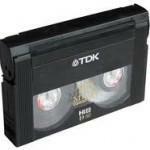 How about international formats to VHS or DVD? Yup. Try and stump us! If your movie was put on any medium whatsoever, we’ll make it transfer to modern DVD. All conversions are onto standard DVD-Rs or gold archival DVDs. A DVD-R (standard or gold) can hold approximately 2 hours (120 minutes) or 2000 feet of Super 8, 1600 feet of 8mm film, or 4000 feet or two hours of 16mm movie film shot at 24 frames per second. Archival gold DVDs are tested to last 200 years. That’s a lot of lifetimes! When the content is irreplaceable, we suggest gold, which is ‘scratch armor coated ™ especially to resist scratches and endure. We can also add a photo & text label to your disk to make it all that more personal. Our turn-around time is typically one week to convert video tapes to DVD or movie films to DVD (it could take a bit longer around the Christmas season). Entrust Leave A Legacy with your film transfers. Colorado families by the score can’t be wrong – our studios on Harmony Road in Fort Collins and at Broadway and Alameda in Denver are memory central for media transfers! Suppose there’s a section of an old film that you want to delete before you show it to your class reunion? What if you want to splice two episodes of a family movie together? Leave A Legacy can do this artful editing for you. Just say what goes where and we’ll make a montage for you that will get two thumbs up from your audiences! Self service video editing is available if you are in the Front Range area in Colorado. We’ll put your video clips on our computer and you can do your own editing, and then burn it to a DVD. What fun! 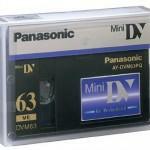 Need a film transfer to VHS? We can do that too, or any conversion between any two media types. Just ask! Please call ahead to reserve equipment. Rent a projector to show your PowerPoint ® or other video production on a meeting room screen or living room wall! It happens that after we’ve done a one-of-a-kind film transfer, Colorado families often like to rent a projector from us to host a private screening of their ‘blockbuster’ film… on a huge, widescreen display for all to see, right in their home or office. Don’t even think about not asking – – your stories deserve to be seen!